Today we woke up and made this fun little Easter craft! 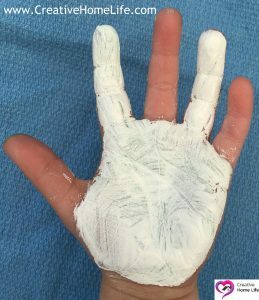 My four year old loves anything that has to do with paint! We had so much fun making this craft together. This adorable bunny rabbit hand print and carrot footprint craft is perfect for Spring! I painted the bottom of her foot orange, except her toes. I paint her toes green for the carrot tops. While it dried I paint the grass. I carefully stamped her hand. After the carrot dried. I mixed a little brown with my orange paint, and painted the lines in the carrot. I cut a pipe cleaner in four identical small pieces. I cut & bent two little pipe cleaners for bunny’s mouth. If you do decide to make this craft or any of our crafts. We would appreciate it, if you can share a picture on our Facebook page . We would love to see how your art projects turn out! 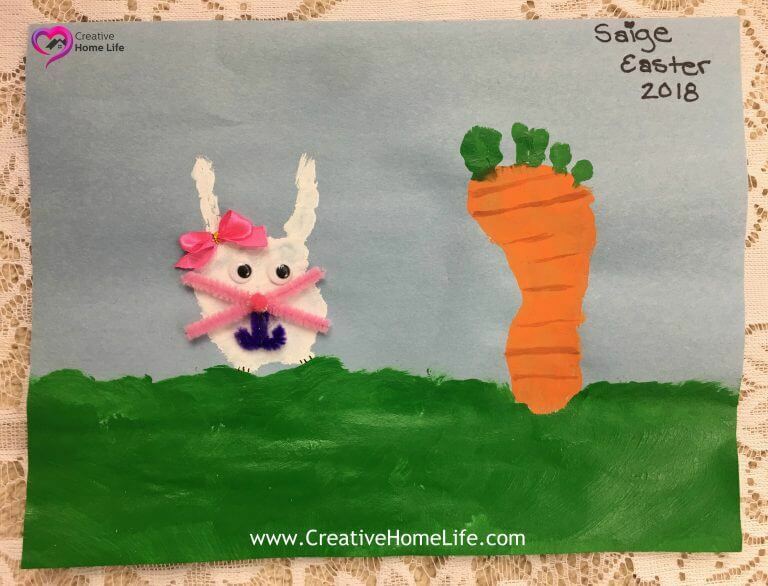 If you have any questions about our “Bunny rabbit hand print & Carrot Footprint ~ Easter craft” craft, or anything else… Please feel free to message me or leave a comment. Previous PostEaster Basket Gift Ideas ~ The Ultimate List! Over 170 ideas.